Yeh Rishta Upcoming drama. Goenkas and Singhanias reach the hospital to know about Naira’s baby, since they have got the news of Naira’s delivery. Kartik gets over his dilemma and takes a big step. He takes the baby to Naira and handsover Kirti and Naksh’s baby with a lie that baby belongs to Naira. Naira confirms with him about the baby. Naksh feels like his baby has come into the world and rushes to meet Kirti. He wants to see his baby. The families reach Naira and get delighted to see her newly born baby. Dadi wards off the bad sight from her heir, unaware about Kartik’s life. Kartik breaks down when he faces Naksh. Kartik has swapped the babies, and just the hospital authorities know this truth. Nurse tells Kartik that he has done the right thing since he has given a mother to the needy baby. 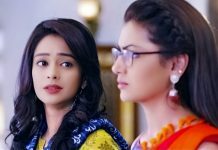 She tells him that Kirti’s surviving chances are less, and even Naira may get a shock on knowing the baby’s loss truth. Naira asks the family about Kirti. They also want to know about Kirti’s baby. Kartik breaks the truth to Naksh that his baby is no more. Naksh gets a big shock knowing this. He can’t believe that he has lost his baby. He shatters and shares the pain with the family members. They receive a shock of sorrow with this news. They try to console Naksh. Surekha doesn’t know why is Kartik so upset when he has become a father. Naira tells her that Kartik is upset because of Kirti’s baby loss. She feels sorry that she didn’t understand Kartik’s pain. Doctor asks the families to take Naira and Kirti home, so that Kirti recovers soon. Naksh wants to take care of Kirti well and take care of her. Kartik wants to stay at the hospital. Dadi feels bad that Kirti has lost her child. Nurse doesn’t accept any money from Dadi. She gives her wishes so that Kirti gets fine. Naira finds Kartik in deep sorrow and pacifies him. Kartik has his own issues to deal with. He feels bad to lie to Naira. He sticks to his decision. Naira asks him to be strong. Kartik takes the baby to unconscious Kirti and wishes that Kirti gets fine. Baby finds solace with Kirti. Kartik understands their magical connection and feels sorry. He apologizes to Kirti and promises to return her child when she gets conscious. He tells her that he is worried for both Naira and baby. He doesn’t know how to tell Naira that they have lost their baby. He wants Naira’s condition to improve so that she can hear the truth and accept it. He tells her that her baby will be just of her. He is sure to handle Naira later on. He just wants the baby’s needs of a mother to get fulfilled. The families move on with Naira and Kirti’s happiness and sorrow. They experience mixed opinions. They can’t live their happiness completely because of Kirti’s sorrow. Naira forgives Dadi for the past things and asks Dadi to take the baby. She is happy that the family is forgetting their sorrow because of the baby. Kartik stays silent and sorrowful with the series of events. Naira tells Kartik that Kirti and Naksh may love the baby as their own. Kartik feels guilty. Bhabhimaa and Devyaani feel sad seeing the empty cradle bought by Kirti. Naksh tells them that they should give the cradle to Naira, so that her baby can sleep in it. Naksh wants to gift the cradle to Naira. Naira gets happy seeing the cradle, while this triggers Kartik’s guilt more. Naira gets happy and makes the baby sleep in the cradle. Kartik feels the baby has got his rights, his mother’s love in the form of Kirti’s chosen gift. Goenkas get caring for the baby and stay on toes. 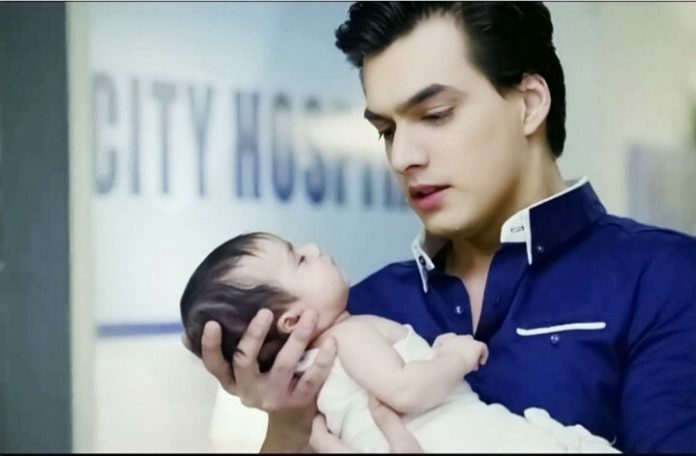 Kartik and Naira spend time together with the baby. They decorate the baby’s room. Kartik stays disturbed all the while. He doesn’t sense any happiness. Naksh holds hopes that Kirti will recover. He wants her to come back to him. He feels helpless when she doesn’t respond. Naksh wants to attend Naira’s baby puja. Kartik gets tensed with the thought of lying to Naira about the baby. He doesn’t want any appreciation from everyone. He feels like cheating everyone, and even the baby. Naira gets close to learn th truth of baby swapping. Will Naira learn Kartik’s lie? Keep reading.